Spring is such a great time for hands-on science learning. It is honestly my favorite time of the year for teaching science to my little learners. 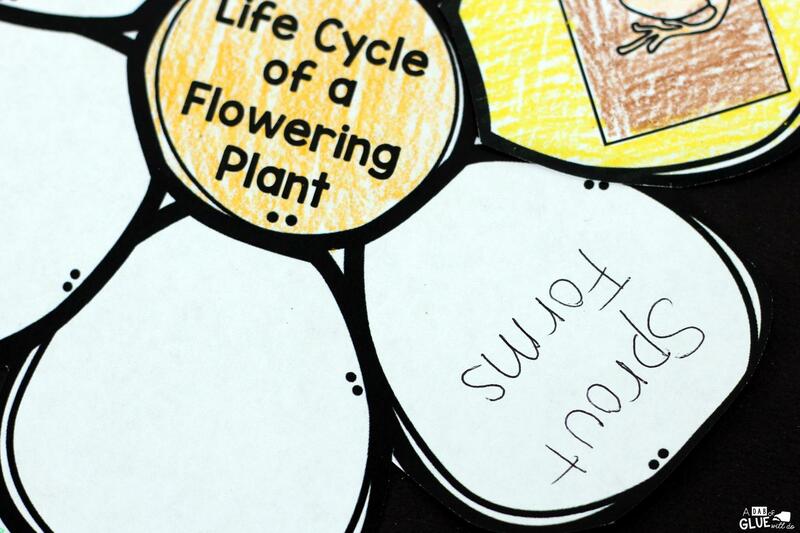 This free Flowering Plant Life Cycle Craftivity will be the perfect addition to your science lesson plans this spring. 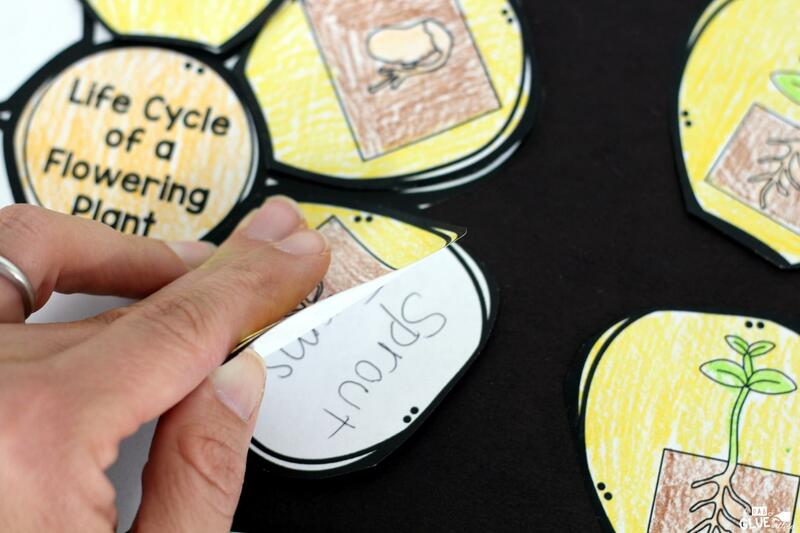 The Flowering Plant Life Cycle Craftivity comes with 4 pages of learning, with two options based on age. 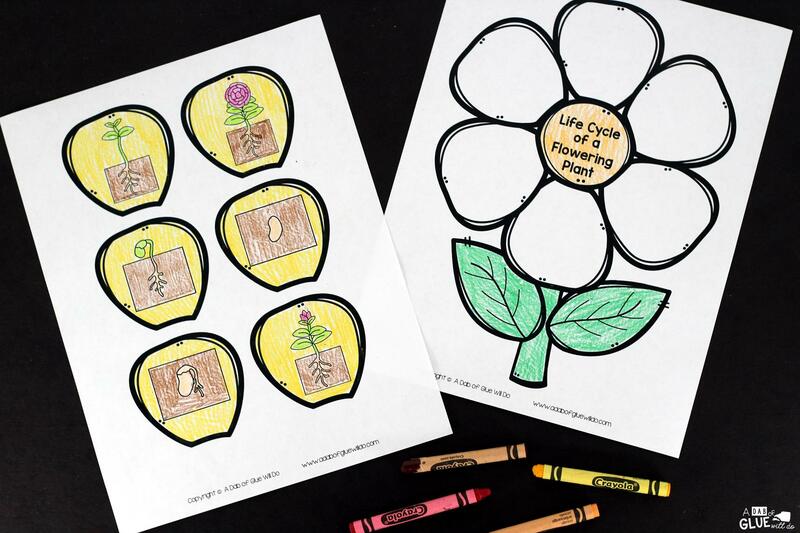 One option has the stages of the life cycle already written out on each petal, while the other page has blank petals so students will have to write the stages of the flowering plant life cycle on their own. First, students will color the worksheets. Then they will cut out the two pages. 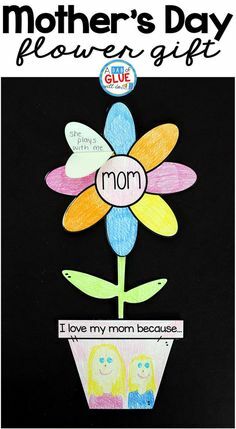 Students will write the stage of the life cycle on the petal, starting with planting the seed. After writing the stage of the life cycle on the petal, students will glue the petal to the flower. 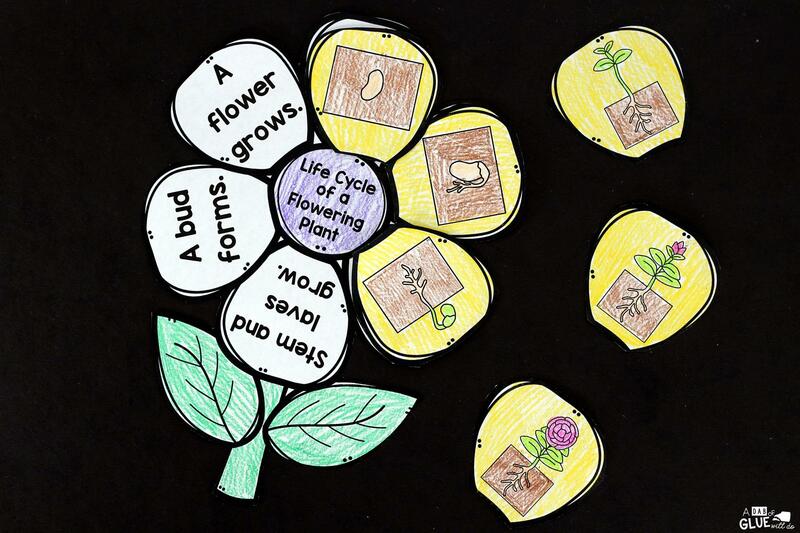 If your students are not quite ready to write the life cycle of a flower on their own, you can use the page that has the stages already written down. Students will just need to glue! 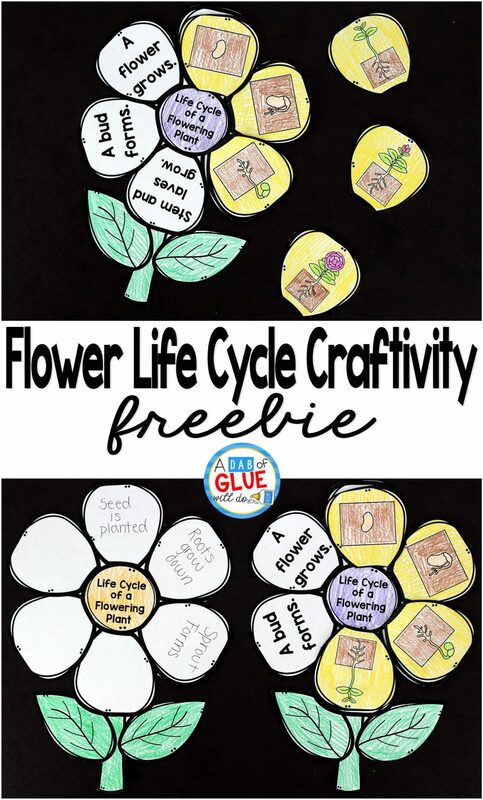 Download Your Flowering Plant Life Cycle Craftivity Below! 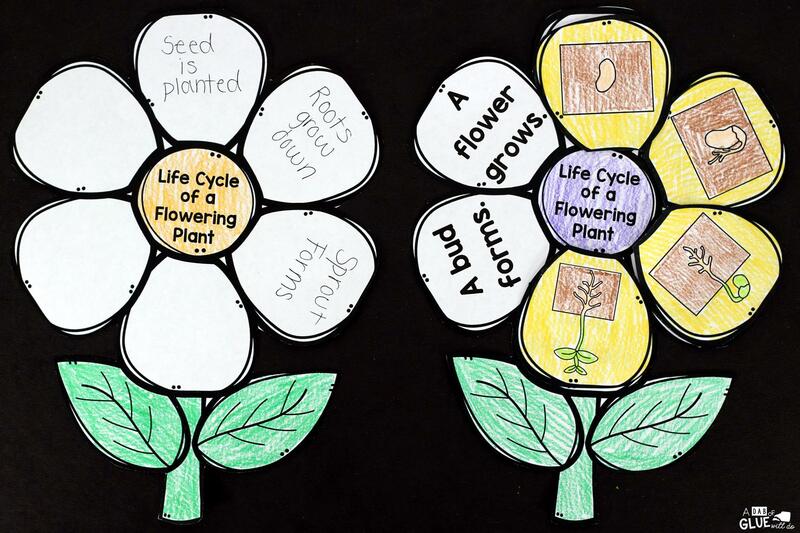 I hope that you and your students enjoy Flowering Plant Life Cycle Craftivity to use in your classroom this year! 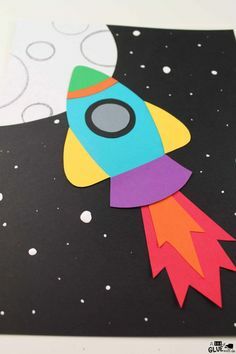 Are you looking for more spring ideas, activities, and printables to do at home or in the classroom? If so don’t miss out on all of our spring Lessons! 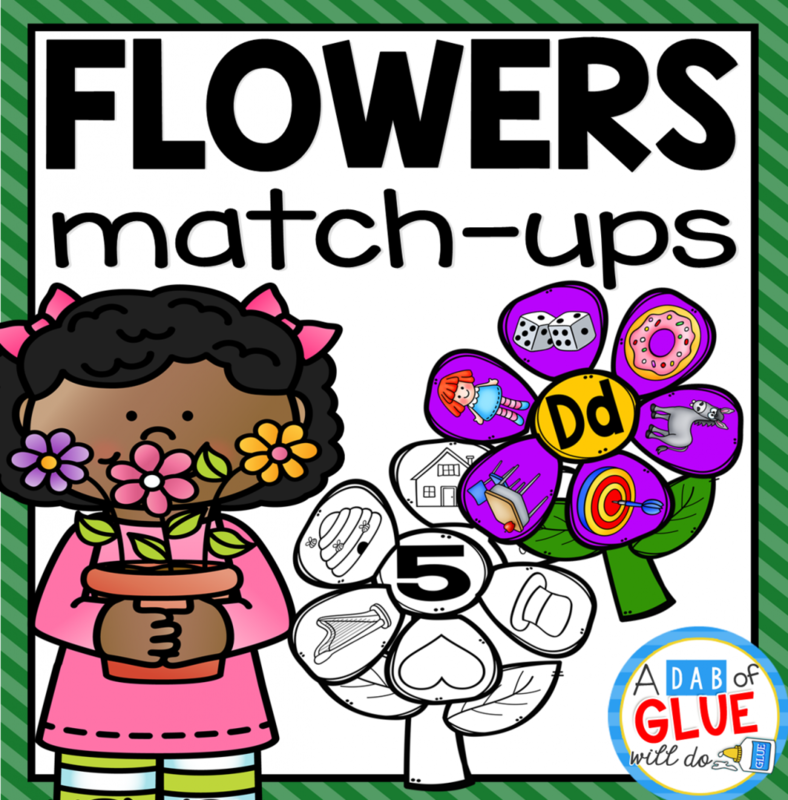 You may also want to see the Flowers Match-Up Bundle! 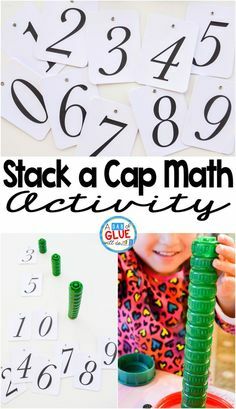 I’m trying to download this wonderful activity, but it always gets stuck when I put in my email and name. Is there some way I can get it directly emailed to me? I’ve tried on 2 different browsers on 2 different computers. I’m so sorry there’s an issue with the download. 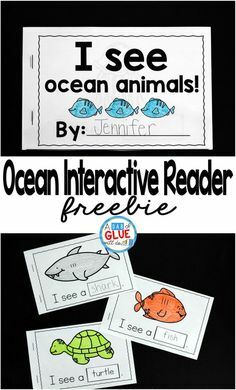 Feel free to send me an email and I’ll be glad to send you the freebie! I am also have problems downloading this could you please email me lesson. Thank you so much for your patience…your request got buried in my inbox. I just emailed you the link. Oh my goodness!!! Thank you for the many incredible freebies you provide all your followers! They are fantastic! I always get so excited! You ROCK thanks again!!! Could you send me the printable. I can not download the flower petal activity. Thanks! Just emailed you the link…thank you for your patience! This got buried in my inbox! Could you kindly send me the activity? Hi there Brenda, the download seems to be working now. Once you enter your information I’ll send you an email with the download. It may go to your promotions, spam or other folder. Let me know if you are still unable to receive it. I cant seem to download. After entering my name and email, It stays stuck. 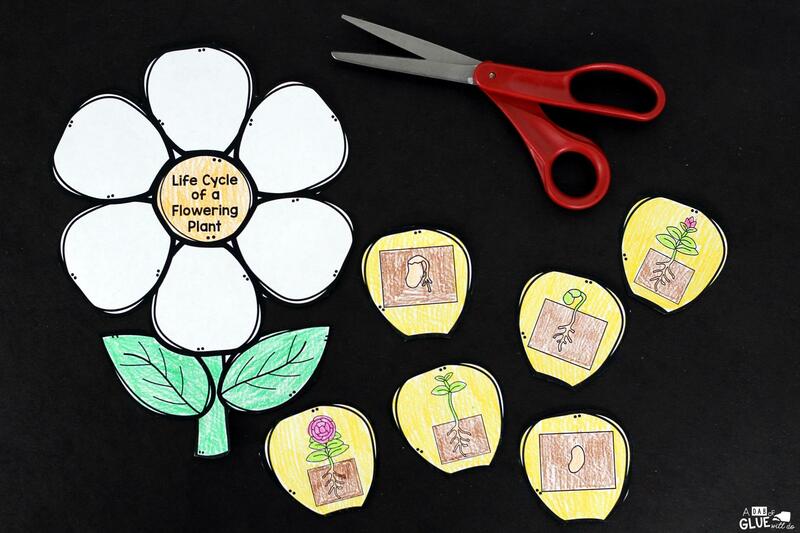 Could you please email this wonderful flower life cycle activity? Hello! I’m so sorry you haven’t received your download. Will you please check your spam, junk or promotions folders to see if they’re hiding in there? 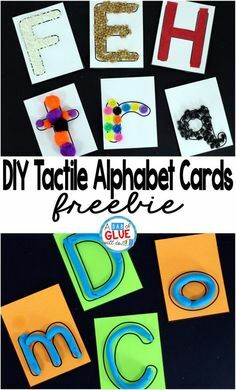 If you still can’t find them, please feel free to email me at freebies @ adabofgluewilldo (dot) com, please let me know exactly what freebie you were hoping for so I can send it to you. I hit the button to download and it never lets me enter my email. 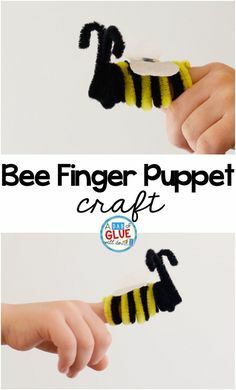 Looks like a great craftivity for the plant unit! Hi Sharon, there may have been some technical issues at the time. Everything seems to be working now. 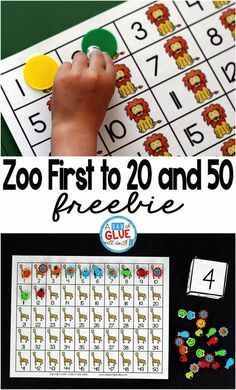 If you are still unable to get it please email me at freebies @ adabofgluewilldo (dot) com Hope you enjoy it. Awesome activity, so went to signup for newsletter. I am having trouble with the downloading portion. Has been “Submitting” for the last 5 minutes. Hi Michele, technology can give us issues sometimes! You should receive the download in an email from me. It may go to various folders or even spam so be sure to check there. Also, often school emails block us from sending things through their email system so if you don’t receive it you may want to try a private email. Hope you enjoy it!